You’re looking at a Kimball vertical piano! 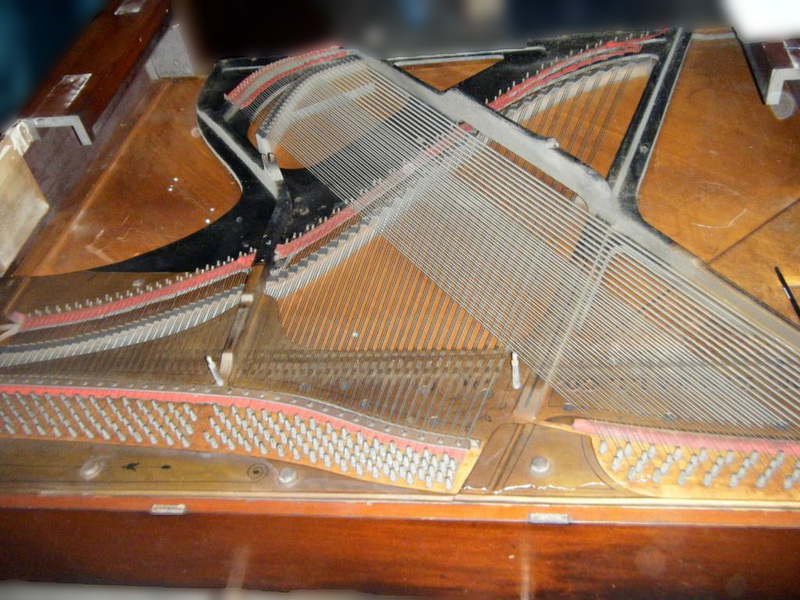 Like the Kingsbury, this is an early Kimball piano. Matter of fact, it has a 4 digit serial number which is a dead give away that its an early instrument. The owner of this piano wants the color to remain of its original color. This will require special work to match up the paint as precisely as possible. 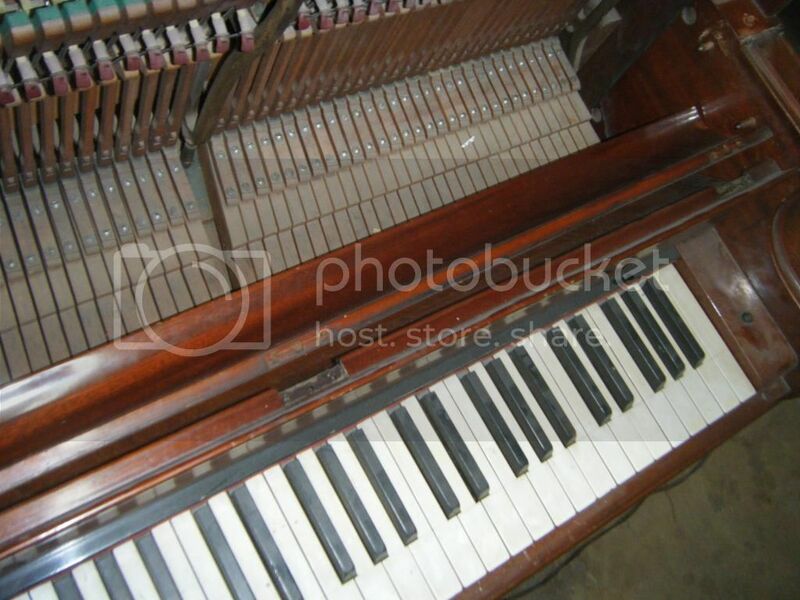 Even thought this piano is in fairy good condition, the soundboard and cabinet will need a small amount of attention. As you can see, the cabinet is not a colonel style for it has some curves, along with artwork, and panels on the picture frame. 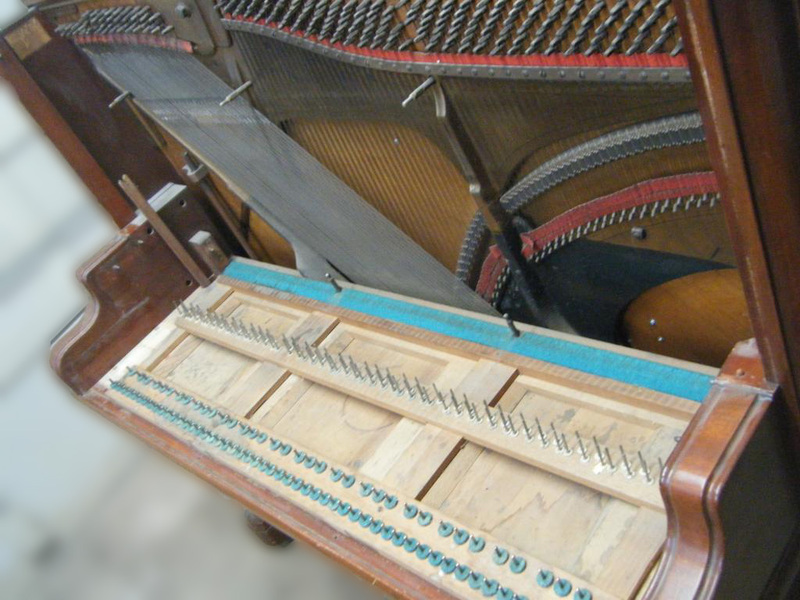 Along with a full restoration, Beavers Piano will be taking care of the finish, new strings and soundboard restoration. On this particular piano, the plate will not be re-gilded to save some of the artwork which is on the plate. Instead, it will get a clear coat. It will be a wonderful transformation! This piano is not plain, yet not overly ornate. It has what at sometime would be called, a Spanish or Flame mahogany veneer and, an open face plate. This piano has been finished and delivered! Check it out.